Kim Soo Hyun is lending his voice for the OST of The Moon Embracing the Sun. Kim Soo Hyun will sing a new song for the OST of MBC Wednesday and Thursday drama series The Moon that Embraces the Sun. This is the second time he sang an OST after KBS 2TV’s Dream High. The song sang by Kim Soo Hyung has the title “Only You One Person” (also translated as The One and Only You) is expected to release on March 13th, 2012, a day before the final broadcast of The Moon that Embraces the Sun. 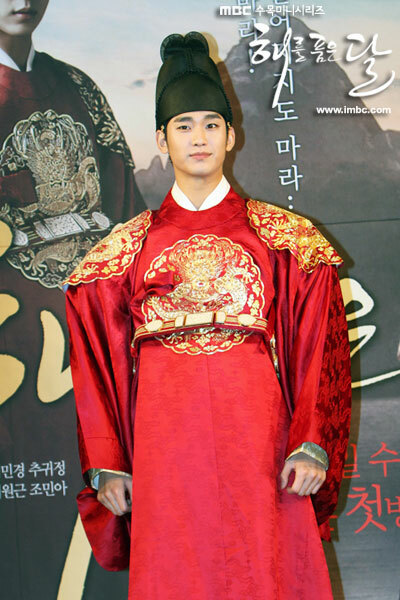 As the final shooting for The Moon that Embraces the Sun is in full swing, Kim Soo Hyun is yet to record the song, but it will done later. The official website of Korea Music Copyright Association has also explicitly confirmed that Kim Soo Hyun is personally singing the OST for The Moon that Embracing the Sun. Prior to this, Kim Soo Hyun has won recognition for his singing skill by singing OST for KBS 2TV drama series Dream High in 2011, with the song title of Dreaming. Because of his excellent singing skill, early in The Moon Embracing the Sun, there was allegation that Kim Soo Hyun to sing an OST, but it turned out to be rumor.